The Hoffman Process is based on latest personal developmental theory and goes to the root of what motivates our unwanted behavioural patterns. Do you sometimes do something when you know the outcome would be ‘bad’ and yet you do it anyway or are you avoiding an action that would have a more positive outcome? What is it in us that causes us to sabotage our lives and ourselves? Unfortunately, we all suffer at times from what Freud used to call the ‘repetition compulsion’ of behavioural patterns. When a child is first born, we are in a state of unconditional lovingness. The child looks at it’s parents with unconditional adoration, no matter how they actually look, the job they are doing, the car they are driving, where they live or how they interact with each other or their child. In order to recognize and nurture this unconditional essence within the child, requires not only physical care but also a constant flow of unconditional love from our care givers. What does ‘unconditional love’ mean to a child? When you were a young child/infant and you felt sad, your parents needed to be able to attune themselves to you and recognise your need for soothing and reassurance. This is how you learned that it was safe to show your sadness and vulnerability to other people and could trust them to respond in a benevolent manner later in life. Just as when you were afraid – your parents needed to be able to recognise your distress and protect and support you. This is how you learned to ask for help later in life when you were faced with a situation that was overwhelming or beyond your capacity. You also needed to be seen in your competencies, like “Wow! you’re playing in the mud; you’ll make a great engineer one day.” This enables us to feel free to follow our interests and creativity and to not have to be overly concerned about what other people’s expectations or judgments are. As children you also need to go into adversity or conflict with your parents sometimes, when your need for fairness and justice have been frustrated. Your parents need to be open to your frustration without collapsing, avoiding and deflecting or being too authoritarian and overpowering either. 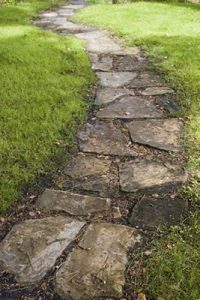 This helps us later in life, to be able to say “No”, to create appropriate boundaries or to make a stand to ‘right the wrong’ and still to be able to remain connected and open hearted. If the child experiences a breakdown in the flow of this unconditional love from it’s caregivers, the child always takes on the blame. Young children cannot make their parents ‘wrong’, as they are totally dependent for survival on their connection to them. These feelings of ‘un-lovability’ are an intolerable reality for the child and the child will try to get away from the experience by trying to deny or shut down the intensity of their feelings – by perhaps acting the way the caregivers demonstrate – “I am like you, now will you love me?” – or behaving in a manner that creates safety – “I will be very quiet, even invisible, so that you won’t get angry”. Unless we heal this root pattern of abandonment and disconnection from our own essence and the resultant feelings of un-lovability, we are compulsively driven to compensate with automatic and unconscious ways of survival that we adopted from our caregivers. What we resist in our experience will persist as our subjective reality. 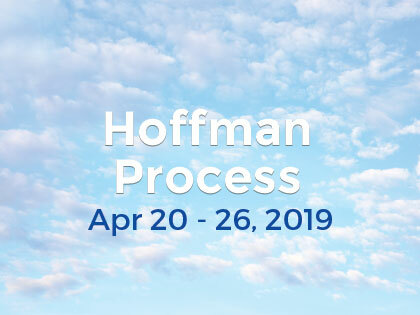 For over 48 years the Hoffman Process has provided a safe environment to heal childhood wounding by helping participants to understand the origins of their compulsive behaviours. Through the emotional expressive work they are able to express all the repressed, wounded, deprived and hurt feelings that occurred as a consequence their care-giver’s behaviour. This is how participants can take the power back from their parents, find compassion for the children that their caregivers once were and as a consequence find own self–forgiveness and self love. For a lot of participants the Hoffman Process provides the first experience of their innate lovability. The Process then also gives you a broad variety of Process Tools to be able to integrate all the changes into your daily life.